Celebrity Perez Hilton explains to Larry King why he’s ready for Hillary Clinton this year...and why he believes Donald Trump’s ‘unequipped’ to be president.Plus, Hilton opens up about why he’s disheartened by Bernie Sanders supporters. 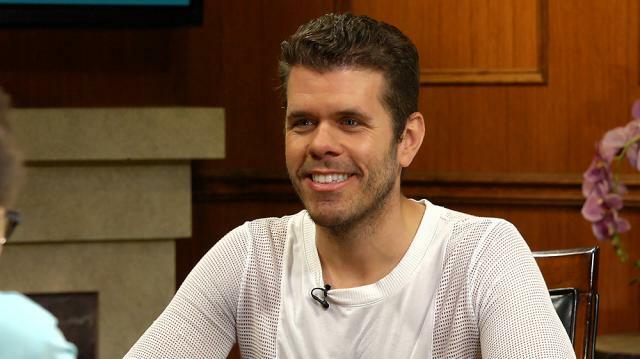 Celebrity blogger Perez Hilton explains to Larry King why he’s ready for Hillary Clinton this year, and why he believes Donald Trump’s "unequipped" to be president.Plus, Hilton opens up about why he’s disheartened by Bernie Sanders supporters. Hilton reveals that he believes Hillary Clinton is “the most qualified person for the job,” and that he’ll be voting for her when election time comes around in November. Hilton explains that Clinton was the only candidate for him, and that while he respects Bernie Sanders, his campaign didn’t carry the same appeal for him as Clinton’s. Hilton also reveals that while he respects Bernie Sanders, he is disappointed by his supporters and the rhetoric they use against Hillary Clinton. Hilton explains that, in his opinion, not voting for a candidate doesn’t give supporters the right to spread hate and vitriol about the other candidate, particularly within a party.